When’s the last time a walk took you back 12,000 years? Or a latte could connect you to the missionaries of the Cherokees? 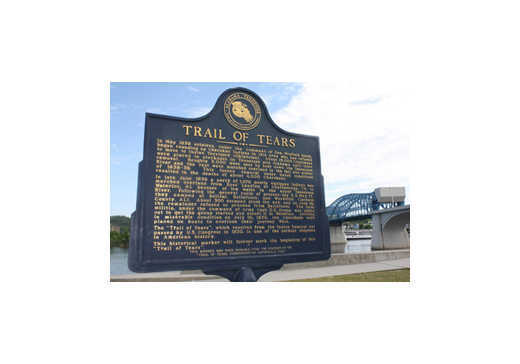 Exploring Native American History in Chattanooga allows you to do just that, as well as observe the starting point of the Trail of Tears, gaze into the ancient Blue Hole Spring and picnic in the same spot where Native Americans first came into contact with Spanish explorers. Below is the route we suggest for sampling Chattanooga’s Native American history in a day, notably the Trail of Tears – the forceful removal of all Native American tribes in the Southeast. Located in the heart of downtown near theTennessee Aquarium, this outdoor exhibit pays homage to the culture, art and accomplishments of Chattanooga’s original citizens. 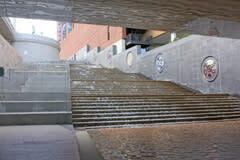 In addition to a stairway waterfall flowing into the Tennessee River, the structure includes a weeping wall representing the tears shed as the Cherokees were driven from their homes. The water gathers in a beautiful reflecting pool before being shot by “cannon” back into the river. 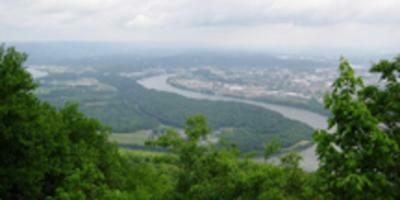 The National Park Service touts Moccasin Bend as one of the most unique units found in the entire National Park Service system. This might be a bit of an oversell…the park currently consists of just one 3.22-mile hike on the Blue Blazes Trail. A shooting range in close proximity means a little noise pollution, but it’s still one of downtown’s most beautiful hikes with views of the Tennessee River and Lookout Mountain in the distance. Archeologists have also found evidence of human habitation dating back 12,000 years. 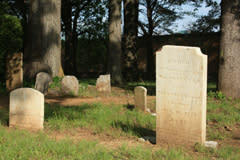 The Brainerd Mission Cemetery is the oldest in Hamilton County. The Brainerd Mission was started in 1817 by a group of New Englanders, sent by the Federal Government to teach the Cherokees “the ways of the white man,” including Christianity and a classic education.The one-acre site is a shadow of the original mission, which consisted of a church, dormitories, two mills, and a large garden. There’s not much to do besides walking the grounds, but the gravestones shaded by Southern Red Oaks are a reminder of the past and a peaceful oasis. Speaking of urban oasis, Audubon Acres is another historically significant area salvaged from commercial development. The 132-acre property – located a stone’s throw from Hamilton Place Mall – offers over four miles of hiking trails, a picnic area, a Visitor’s Center with a time-line museum and the restored Spring Frog Cabin, thought to have been built in the 1700’s with Native construction techniques. The Southeastern Corner of the property is home to Little Owl Village, an archeological site where remains of a Mississippian Era Native village of the 1400 and 1500s have been found. It was here historians think area Native Americans had their first encounter with Spanish explorers. The serene beauty of Audubon Acres is probably best appreciated by photographers, history buffs, artists and outdoor enthusiasts… not small children. 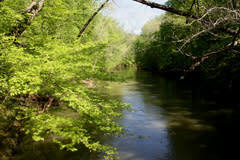 From Audubon Acres, Red Clay State Park is just a 20-minute drive east. From 1832 to 1838, Red Clay served as the capitol of the Cherokee Nation and was the site they first realized they would be forced from their ancestral homeland. 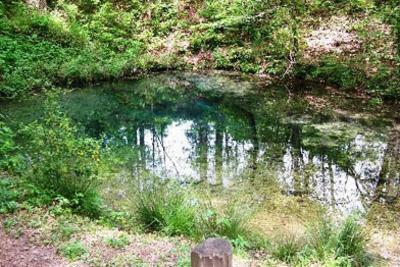 On the 263-acre property you’ll find hiking trails; reconstructed sleeping huts, homesteads and council houses; and a deep pool called The Blue Hole Spring, which served as a water supply during council meetings. You can also explore the museum and visitor’s center onsite to learn more of Red Clay’s history.